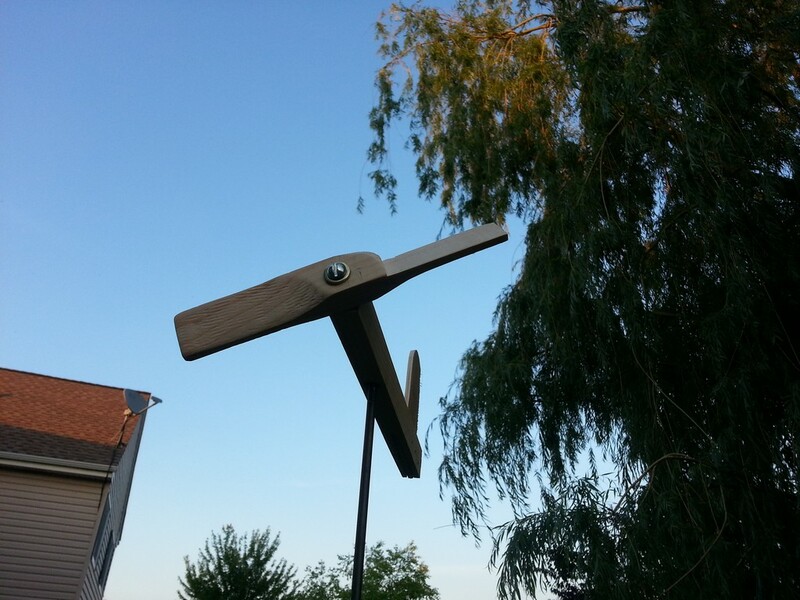 I’ve wanted to make a whirligig for a while, so today was good as any to give it a try. The heart of any whirligig is the propeller, and since I have no idea how to make one, a lot of guessing will be in order. All of the assembly was done by David, I only did the propeller part. For the sake of experimenting, I will use pine for the construction. Final versions will use a hardwood, perhaps birch. 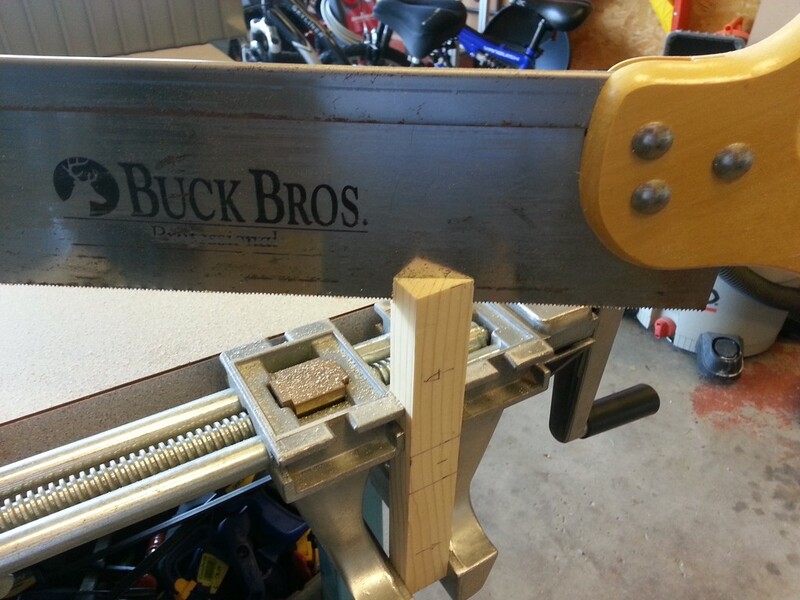 Overall length was arbitrarily determined to be 8″, and I used a scrap piece that measured 1″ x 3/4″. With the material cut, was time to start shaping. To make the process easier I cut away the waste using a back saw. 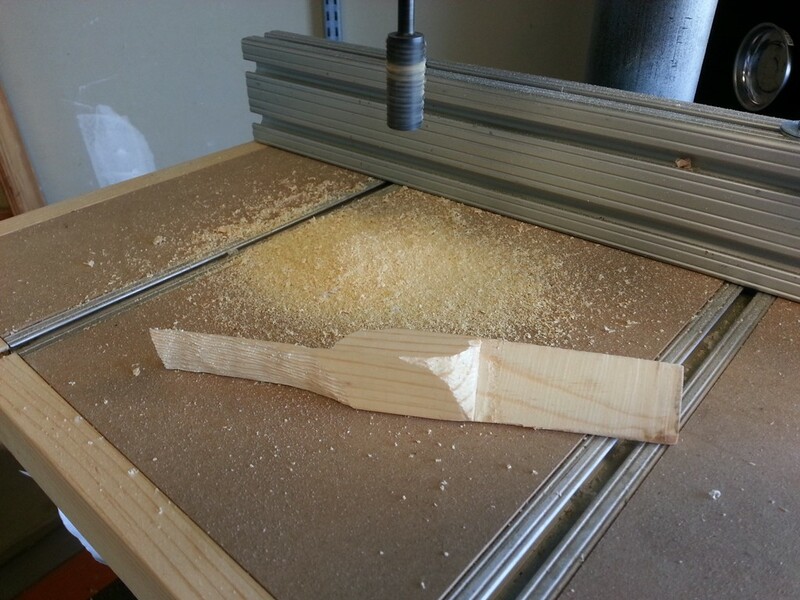 A rasp bit mounted in the drill press made short work of the final shaping. The next step was to drill a centered hole and insert a small metal tube that was slightly larger than a 1/4-20 bolt. This will allow for smoother action and will protect the wood from wear. 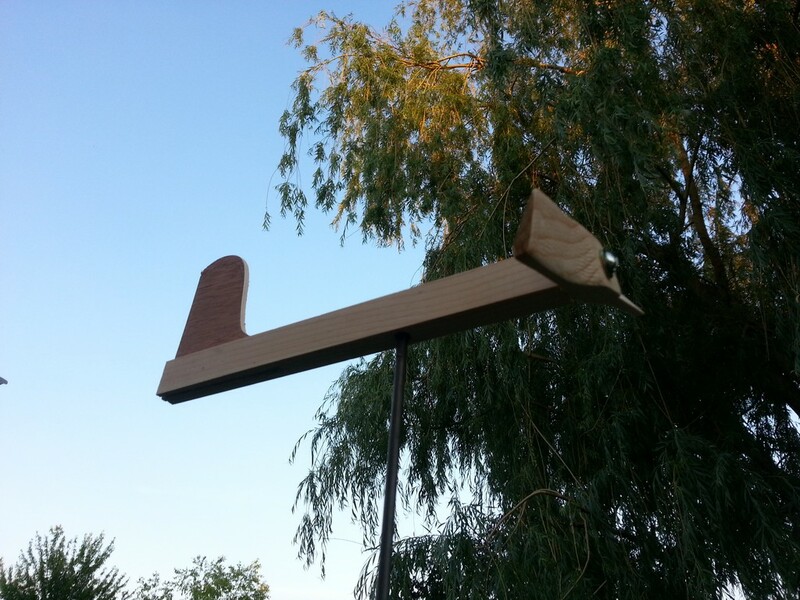 The fuselage is the same pine material used for the propeller, and the vertical stabilizer is 1/4″ plywood. Now that all the pieces are assembled, the center of gravity must be determined. Just use something round, and move the object back and forth until is stays balanced. 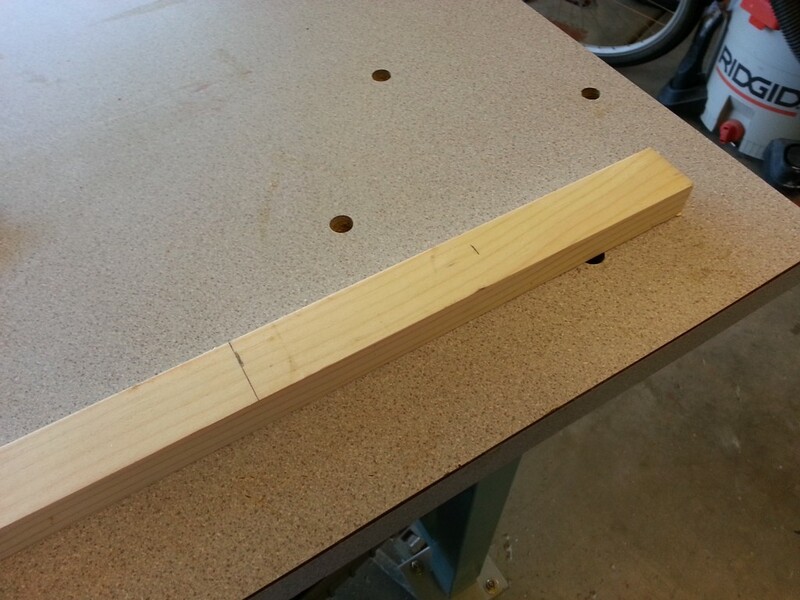 Make a mark on the side, and drill using a drill press. Since this is mounted on a steel post, I put a bit of metal in the hole to keep the shaft from working through the pine. I also put a dab of grease in the hole. And experiment, and we learned some things. First, the prop can be much longer and thinner. The rake needs to be less severe and I would like to find a better bearing method for smoother spinning.